As the premier moving company in the Bay Area, Metropolitan Van & Storage offers unbeatable logistics solutions to businesses of all sizes. 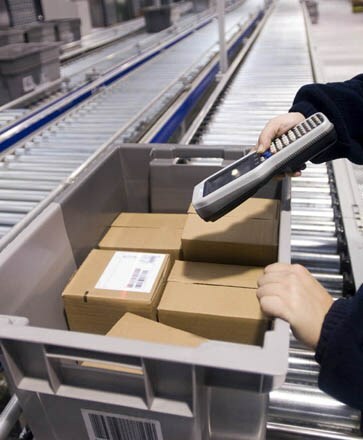 From inventory management to shipping of your products, we will ensure the flow of your items from their origin to the point of consumption meets your company’s needs. As a Diamond-certified mover, a BBB-accredited business and a designated ProMover of the American Moving & Storage Association, we’ll provide you with the most comprehensive transportation logistics services in the Bay Area and Sacramento. Using our large fleet, commercial warehouses, modern technology and advanced resources, our Bay Area and Sacramento transportation logistics professionals will provide you with warehousing and product distribution solutions to help your business grow. We’ll start by receiving your items and securely storing them in our spacious facility. From there, we’ll use our inventory management expertise to effectively organize your products and prep them for distribution. Once an order comes in, we will handle all of the shipping procedures to ensure the customer receives their purchase on time and intact. Receiving: We will effectively receive and inspect all of your products to ensure they are suitable for consumption. Warehouse Storage: Our secure warehouses have a combined total of 265,000 sq. ft. of space, so we have enough room to accommodate your logistical needs. Inventory Management: Our skilled personnel will effectively oversee and control the organization, storage and distribution of your business’s inventory. Delivery/Product Distribution: Once an order comes in, we will ensure the product is efficiently shipped to your customer. We offer comprehensive final-mile and white-glove delivery options. Records Management: If you have sensitive or important records you need securely stored, we will gladly keep them safe and organized in our dedicated ESFR document storage facility. Commercial Moving: We’ll apply our logistical expertise to your commercial move to make it as smooth and streamlined as possible. Ready to start expanding your business into new markets and accelerate its growth? Contact Metropolitan Van & Storage today to learn more about our Bay Area and Sacramento transportation logistics services. Give us a call or fill out our online form to receive your free quote!